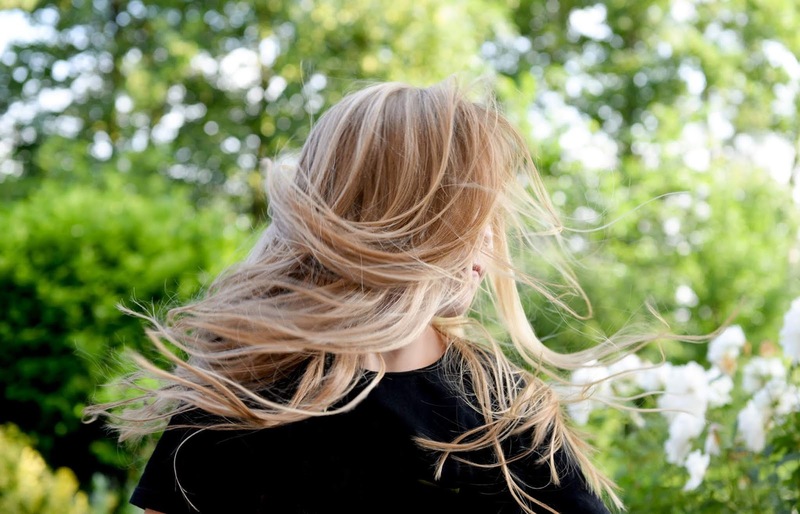 Although I'm far from a natural skincare advocate (the products I usually use probably contain all kinds of synthetic nasties) I'm sure you'll agree that there's something lovely and luxurious about natural products that are genuinely great for your skin. I was recently given the opportunity to try out some things from vegan skincare website My Natural Beauties which included this shower gel and exfoliator from a brand called Laidbare, I say bring it on nature- I'm ready for you! 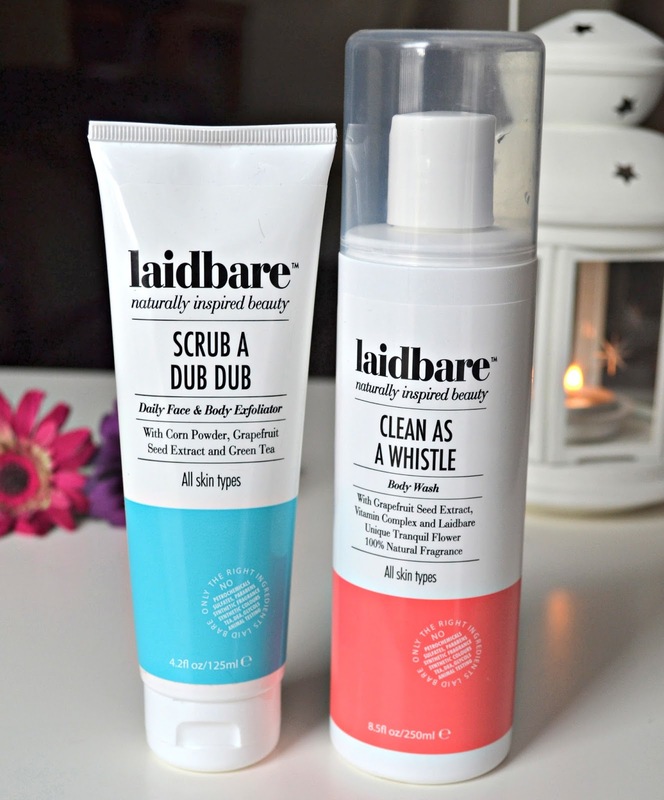 I'd not heard of Laidbare before, but after looking into the brand I discovered their products are all-natural, affordable and contain essential oils and extracts sourced from living plants. While I'm a huge fan of Lush I've not tried many other natural products, and so I was really interested to see what these would be like. This is a 'daily face and body scrub' containing corn powder (a great natural exfoliant) grapefruit seed extract (which has antibacterial and cleansing properies) and green tea which we all know is full of anti oxidants- perfect for beautiful skin. This has an amazing fresh, citrus scent which is great if like me you need all the help you can get waking up in the morning. While the exfoliating grains are quite big they're still gentle, unlike most highstreet scrubs that can leave your face looking red raw. It definitely gets off any dry bits, I stepped out of the shower feeling as smooth as a newborn dolphin (these metaphors get weirder every week.) The perfect invigorating product that can be used on your entire face and body and really wakes you up- I love this. As with the scrub the body wash also contains grapefruit seed extract, and is high in vitamin C which helps to repair and protect the skin without clogging pores. The most noticeable thing about this is the gorgeous, super strong scent; I'm all for nice smelling bath products, and so this was a plus point for me. I'm terrible at describing scents so I wont even attempt it but I will say it's quite unique, it's neither sweet or particularly floral- I've not tried anything else that I could even compare it to. I love the fact that it's a natural scent too, rather than the result of some random old chemicals mixed in a lab somewhere. 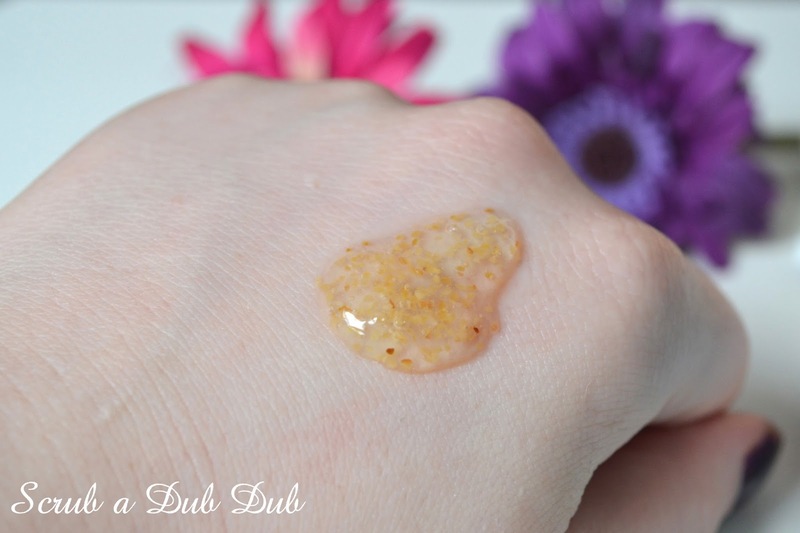 The texture is perfect- smooth, not at all watery and lathers up nicely. I find that a lot of shower gel leaves my skin feeling quite dry, but as this is full of ingredients that are actually good for the skin I didn't get that at all. Overall I absolutely love both of these, the packaging and names of the products are so cute and they're both really nice quality. Even if like me you don't necessarily buy all natural skincare, I'd definitely recommend checking out Laidbare; unlike most natural skincare products they're really affordable and are great little bath time companions! Have you tried ever tried vegan or all natural skincare? Thank you for this post, I didn't know this brand ! It seems to be so great ! I don't have really tried natural skincare product. It's difficult with my low budget ! Thanks for sharing, that scrub is something I'm going to look into. I love the names of these, think I would buy these based just on that alone! I've never heard of this brand, but the products you showed seem really nice! I like natural solutions and always try to think up of home remedies for things. I use straight up honey as a face mask, add some milk to that honey and I have a great sunburn treatment. Just simple things, but they work wonders! These sound lovely, definitely need to give them a try! I only use natural skincare now! Gradually switching over with makeup too :) Still not tried Laidbare yet! I also prefer natural skincare solutions as they are suitable and perfect for every type of skin without any side effects. However, here i just loved the scrubs as it is sounding good.